More and more though, I think that the little boy is on to something. How many stories of people changing the world start with just a little action of love and kindness? Just about all of them. The world is changed when one person makes a choice to love and love sacrificially. The world is changed when one person makes a choice to be kind. She’s right. It doesn’t take much to change the world. One kind word. One loving action. 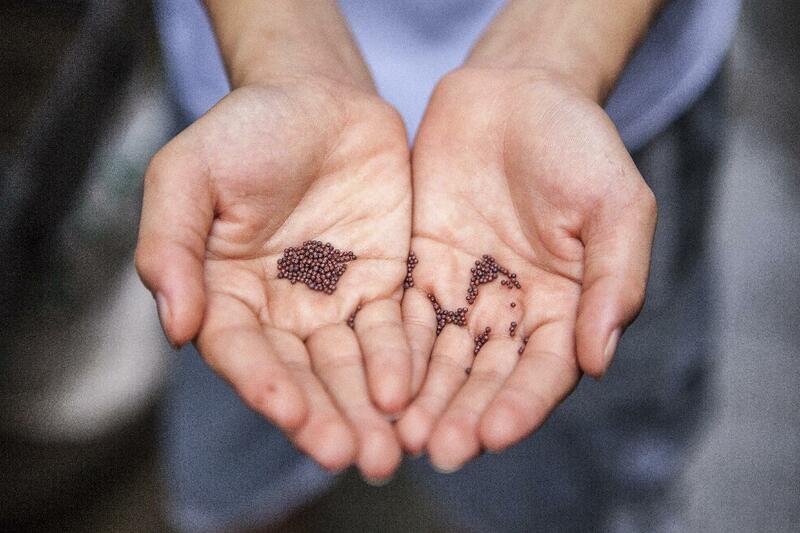 Just a mustard seed’s worth of kindness can start something great. Small little things, mustard seeds and pinches of yeast. The kingdom of heaven is like these things. It starts small but grows like crazy. In the ancient world the mustard tree was thought of a weed by many. It was robust, strong, and the tree was easily spread. Yet, it wasn’t typically thought of as a nesting place for birds. Jesus was pointing to the reality that the kingdom of heaven here in the world would start small but become a refuge. You do not need much yeast to leaven the dough. Just a pinch is all you need. The kingdom of heaven is like that. Just a pinch and it would multiply and grow beyond belief. These two images tell us that the narrow path is one marked by a lavish welcome. A welcome to people that nobody would expect. As the kingdom grows we can expect push back (just like the mustard tree that people thought were weeds). The growth of the kingdom is going to be exponential and uncontrollable. How does this apply to us? Quite simply it means that, it doesn’t take much. We don’t have to do some huge crazy thing. The reality is that if we can be kind to our neighbor, co-worker, or even our kids that’s all it takes. How would the world change if each of us chose to be kind today? Kind in our interactions in real life, online, or even our thought life. ***The world would be different. Why? Because it doesn’t take much.